Sewage spills need to be handled with the utmost care due to the highly toxic elements that are contained in the black water. With 911 Restoration of Central Arkansas standing by around the clock, there is no reason for a property owner to ever feel that they need to wait for help or attempt a sewage cleanup on their own. 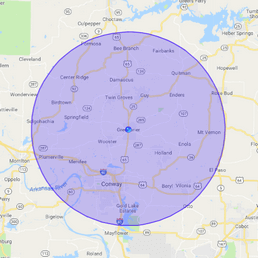 The water damage restoration unit in Little Rock is available 24/7/365 to take your call and get professionals to your property to administer sewage cleanup services. The little rock technicians treat sewage spills like an emergency situation and are ready to spring into action on a moment’s notice. It doesn’t matter what time you call, within 45 minutes a sewage cleanup unit will be at your door ready to begin extracting the black water right away. Any situation involving sewage is going to feel overwhelming, especially when you factor in the health risks that exposure to the substance can create. It is extremely important to keep away from the sewage and make sure that children and pets do not come into contact with the black water. To stay as safe as possible, call the water damage restoration team as soon as you notice sewage starting to back up into your property and in less than an hour help will be at your door. 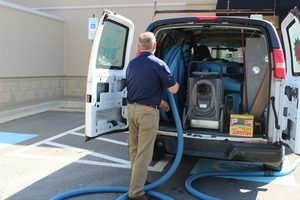 Time is of the essence when it comes to conducting a sewage cleanup because the longer it stays in the property the more time it has to seep into the carpet and flooring. If you do have carpet in your home or business, then it may be necessary to remove and dispose of the soiled textile. This is the best way to ensure that all of the bacteria is completely removed from the premises. Attention to detail is what makes the difference between a successful and unsuccessful sewage cleanup job. The water damage restoration experts make sure to remove all the liquid and solid waste, leaving the property completely sanitized. The sewage cleanup professionals may work fast, but they will not cut any corners. We understand that your health is at stake and the Little Rock water damage restoration crew will do whatever it takes to decontaminate the space and leave it smelling fresh. 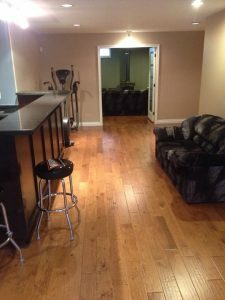 By providing you with this fast and efficient water damage restoration services, your property can get back to its original, clean state as fast as possible. Call 911 Restoration of Central Arkansas when sewage invades your commercial or residential space and let us make your property sparkling clean again. When sewage invades a property the first thing you are confronted by is the strong odor that permeates throughout the entire area. Even if only one room is affected by the sewage spill, the entire home or building is going to be affected by the odor. This is an element of the sewage cleanup that we put great emphasis on. 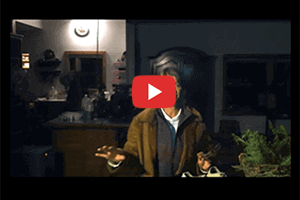 It can be difficult to remove sewage odor, but one way you can help us get rid of that smell is by calling the water damage restoration team the moment the sewage begins entering the property. 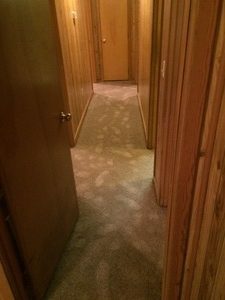 You don’t want to give the sewage any time to seep deeply into the carpet or other porous materials that it comes into contact with, so by getting us to your property as soon as possible, we can begin the decontamination process. The Little Rock water damage restoration specialists are just waiting to get the call that you need immediate sewage clean up services, so do not hesitate to give us a call right away!